Damned odd. I couldn’t work out what was the point of this strange, expensive-looking Snub Pollard comedy from 1922 until I realised it was a riff on Buster Keaton’s ONE WEEK. 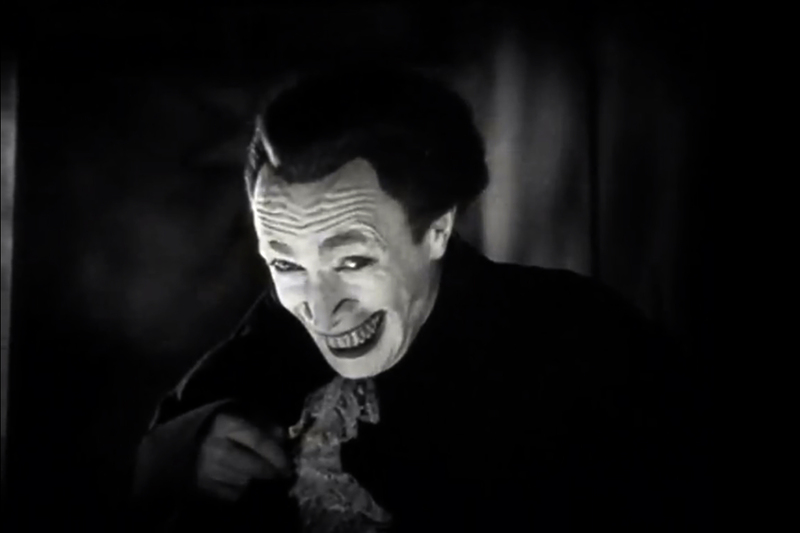 It has house built from kits, one of which ends up on a railway line, just as in the Keaton, and so it also has a time-based title and structure — for it was originally released as 365 DAYS. (home-cine print has been retitled for some damned reason.) 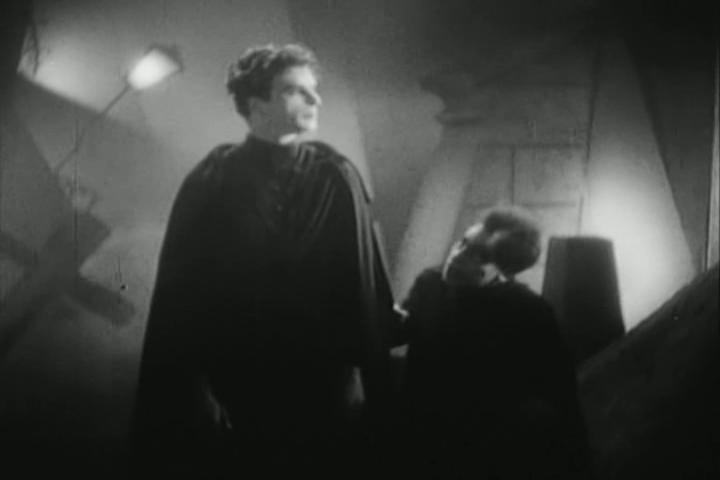 It even has the same actor, Noah Young, playing the villain, only here they neglect to give him any real villainy. Lots of things get neglected here — the plot hinges, somewhat creakily, upon the idea of a bunch of relatives living together for a year, but the action we see could easily be completed in a day. The magnificent setting, all those houses built from kits stacked on top of one another, seems ripe for comedy spectacle, and fairly boggles the mind, even with the fairly crude special effects balloon trip, but the gags don’t really exploit the large-scale potential. Still, Snub gets a bathing scene, and we are disconcerted to discover that the mustachioed funnyman has a body like Arnold Schwartzenegger. “A body like Arnold with a Snub Pollard face,” as Salt ‘n’ Peppa didn’t sing. Future comedy star Charley Chase directs. Although the set-up is, nominally, domestic, and Chase would be the champ of dom-com, everything is too elaborately fantastical to allow him to stretch his nascent situation comedy skills. 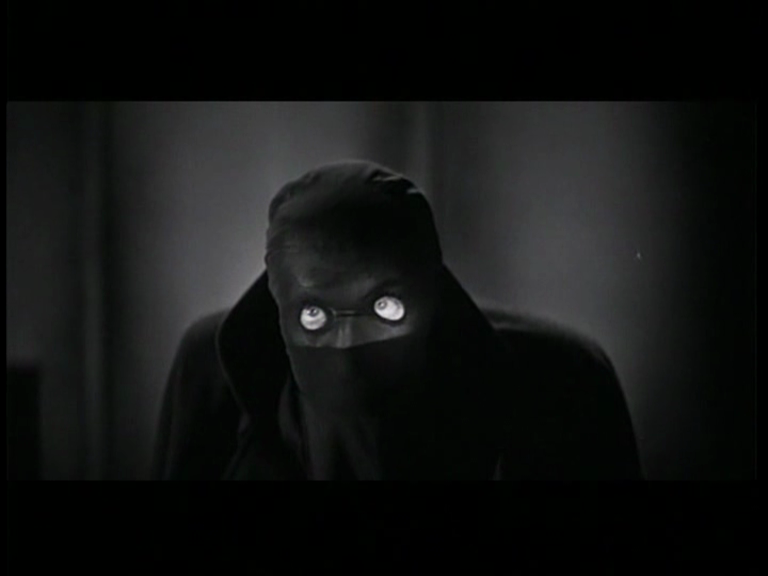 But there are some good gags, especially the accordion, and the whole thing’s odd enough to be worth watching. And so to The Silent Clowns, at Edinburgh Filmhouse. 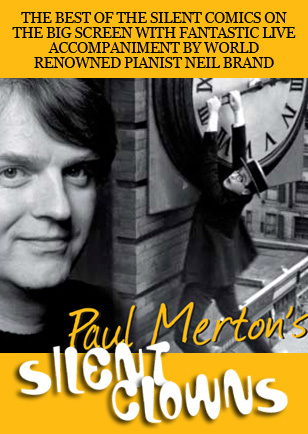 Comedian Paul Merton has been sharing his love of the silent comedians for a couple of years now, and this show is a pretty good format to introduce newcomers to the comedy greats, although from my lecturing experience I would suggest you really need about three hours to give people a proper grounding in any of it. But for the modest-by-Fringe-Festival ticket price you get Merton’s introductions, three or four clips, a Laurel and Hardy short and a main feature (Buster Keaton’s SHERLOCK JR.), with Neil Brand at the piano providing sensational live accompaniment. I’m not sure what Merton really adds to the experience. Well, he adds his TV fame, which presumably draws in at least some of the punters who otherwise might go to their graves without ever seeing a silent feature, and he adds some good jokes and a bit of historical context. There’s no real analysis or anything like that: without the films to look at, you’d have no idea from Merton’s intros just what made Chaplin or Harold Lloyd great. Stressing Lloyd’s everyman persona is a strange way to introduce a scene from WHY WORRY?, where he plays a neurotic millionaire. Merton’s love and enthusiasm, and undoubted knowledge of these films is commendable, as is the fact that he’s proselytizing for them, but I wish he’d take a leaf from Walter Kerr’s magisterial book The Silent Clowns and actually give more of a sense of what makes them great, rather than just asserting that they are. It might seem redundant, when the films are their to be seen, with ample proof of their own greatness, but it’s less redundant than anything else you can say. I don’t mean to be negative because it was a great afternoon’s viewing: punters in Edinburgh should forego the usual stand-up and see some eighty-year-old material that’s funnier and also more beautiful than most of the current comedy on show. You can laugh yourself sick and also emerge ennobled. My theory has always been that nobody’s funnier than Laurel and Hardy, but even a very good silent L&H like WE FAW DOWN does not show them at their absolute peak. It was very popular with the audience though, and the last shot, with its scores of erring husbands tumbling from windows in their underwear, drew a round of applause from the crowd before the final fadeout even started. 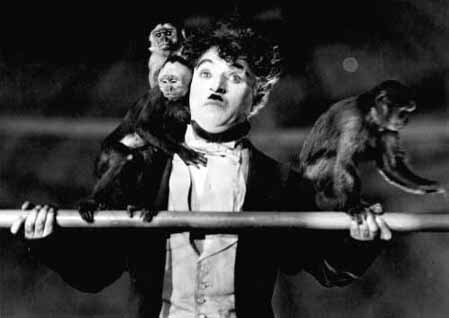 THE CIRCUS has some of Chaplin’s best NIGHTMARE SCENARIOS: trapped in a cage with sleeping lions, while a wee dog yips furiously at him outside, or here, on a high wire and assaulted, horribly, by monkeys. 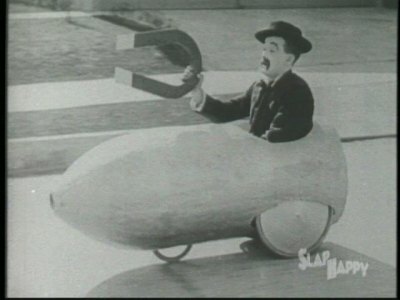 Chaplin, in the first clip shown, maybe got the best laughs. Extracts from near the start of THE CIRCUS show him near the top of his form, even if the film as a whole doesn’t stack up as among his best. I’ve never seen any Chaplin on the big screen, come to think of it, and he seemed to benefit most from this exposure. Having a greater distance for the eye to traverse from one element to the next in the frame really seemed to boost the comedy. I don’t think there were specific crucial details that would have been lost on the small screen, but everything seemed heightened by enlargement. And idiots who suggest that Chaplin “doesn’t work” for a modern audience should have been there to see how this very modern audience reacted. With Keaton, I’d noticed before that the ensemble playing suddenly became more visible and enjoyable on the larger screen, and this seemed true of Chaplin too. Snub Pollard scored numerous laughs, partly because he provided the most cartoonish material of the show. It was good stuff, though. ~ from Clown Princes and Court Jesters, Some Great Comics of the Silent Screen, by Sam Gill and Kalton C. Lahue. Surely Kalton C. Lahue must be the inspiration for Horton Hears a Who. The film was IT’S A GIFT (1923), made when Pollard was briefly a contender in two-reelers. His star faded, the Australian comic became a specialist in tiny bit-parts, and can be seen getting an umbrella in the most famous scene of SINGIN’ IN THE RAIN. What I liked most about his magnetmobile was the idea of him inflicting this level of mayhem of the city streets every time he left the house. Life was tough in the ’20s. Louise Fazenda got one particularly strong laugh, as her fur stole resolved itself into a draped dog, but her clip was largely to showcase Neil Brand’s skill at the piano, as he talked us through his job as accompanist. Harold Lloyd wasn’t as well-served by the scene chosen as he could have been, but got good laughs anyway. Part of the charm of the programme is that, with different combinations of films and clips each show, there may be a different “winner” on laughs each afternoon. 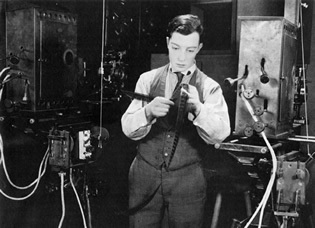 Buster Keaton is a special case. Long stretches of SHERLOCK JR. provoked silent admiration rather than loud laughter, and I usually find this to be the case. It is NOT a weakness: with Keaton, the ingenuity of the gags is often more striking than the hilarity, and so you’re too busy gasping in amazement at his brilliance, or in shock at his physical daring. You can’t get your breath in order to laugh. It’s ironic, since Keaton’s stated objective was always simply to get laughs, but he winds up doing far more. Having said that, the climax of the film, a rip-roaring two-part chase, got HUGE laughs, as did this amazing sequence, which resulted in Keaton unknowingly breaking his neck falling from the water-tower. He got up and was fine (as you see in the clip). If the show had an extra hour to it (which wouldn’t risk tiring anybody out: you have to have faith in this material! ), I’d like to see more complete shorts, and maybe something illustrating the earliest stages of the gag film, which Merton mentioned but didn’t illustrate. Some Charley Bowers would be good, some Fatty Arbuckle would be useful, and some Max Linder should be essential. But as an introduction to silent Hollywood comedy delivered in less than two hours, Merton’s programme can’t seriously be faulted.